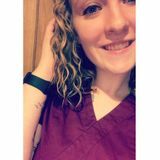 Want to connect with Kallie? Hey my name is Kallie. I'm looking for a caregiver work opportunity in Norwalk, Ohio. I strive to be a hardworking candidate. I can alter my schedule to meet your needs. I am happy to help with transport to and from extracurriculars, homework help, and swimming supervision. I also are comfortable working with sick children. I have experience as a caregiver.